The Dutch road champion, sprinter Dylan Groenwegen (LottoNL - Jumbo), will prepare his 2017 season with a bit of track racing. 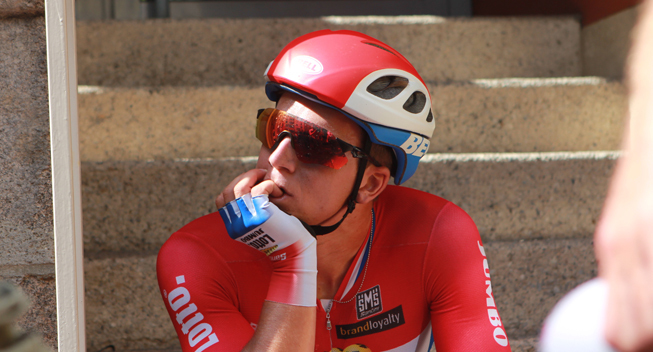 Groenewegen will take part in the 6 Days of Rotterdam which will take place from 5 to 10 January. In 2016, the former winner of the U23 Tour des Flandres won eleven races. In Rotterdam, he will ride with Gijs Van Hoecke, a new recruit of the LottoNL - Jumbo team who joins from Topsport Vlaanderen - Baloise. Note that the team LottoNL - Jumbo will meet in training in Alicante from 16 January.